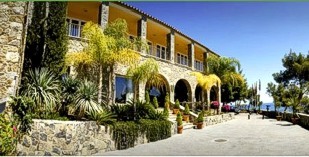 The Malaga area is also referred to as Costa del Sol (the sunshine coast) because of its superb all year round weather. Located along the Mediterranean in the charismatic region of Andalusia this cosmopolitan city attracts six million tourists each year. Why? Because it offers the perfect combination of beautiful beaches, history, culture, excellent seafood restaurants, and the best Tapas bars in the area. There is also a vibrant nightlife, with parties in the music bars, or on the beaches, so there is fun to have by all. Malaga was the city where the great Pablo Picasso was born and the Spanish actor Antonio Banderas, who apparently is often seen out and about with his family. Picasso on the other hand can be appreciated in the Picasso Art Museum where you can learn more about this extraordinary artist. With a stunning backdrop of mountains, sandy beaches and palm trees, it is no wonder Malaga has such a special ambience and is so relaxing. 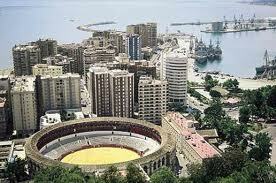 Beyond the harbour is the centre of the city, and the El Perchel, Lagunillas and La Trinidad quarters. The most popular areas for entertainment, shopping, and nightlife are; the Marques de Larios, Plaza de la Constitution, and Calle de Granada. One of the main attractions in the city is Malaga’s cathedral, built on the site of a former mosque between 1528 and 1782. There were supposed to be two towers but, because of a lack of funds back then, only one tower was actually completed. Hence, it has been affectionately nicknamed La Manquita, which means the one armed woman. The inside is a mixture of both Renaissance and baroque styles, and in the evening, the Cathedral has almost a golden glow at night. If you are travelling with young children there are theme parks and water parks to enjoy, and the festivals during Easter are always an incredible spectacle. 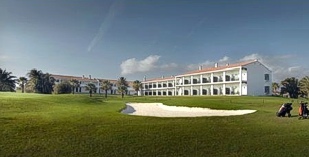 For the golf enthusiasts, there are also a high number of world-class golf courses nearby, one with its very own Parador, Hotel Malaga Golf. This particular course is one of the oldest golf courses in the region, and was designed by Tom Simpson, who also designed the Scottish Muirfield and Turnberry courses. Another popular site is the Alcaszaba, a fortress built on a hilltop by the Moors, which was captured after a siege that lasted 40 days in 1487. Today is a major landmark. Inside the castle is an Archeological Museum that is well worth a visit, and next to the Alcaszaba are the ruins of a 2nd century Roman Amphitheatre. So should you decide to make the trek up the hill, it will certainly be worth the effort. If you wish to treat yourself to something special when looking for a good hotel, opposite the Alcaszaba is the Parador Hotel Malaga Gibralfaro. This small luxury four-star hotel in the old quarter looks down over the town and the bay. In honour of its most famous citizen, the Parador’s restaurant has a Picasso original on the wall, which in itself is a wonderful treat. However, the views from the outdoor terrace while you dine, of the Mediterranean and boats coming into the harbour, are also very special. So next time you are thinking of heading for some sun, and want to have the choice of a bit of everything, Malaga should definitely be on your short list. As Spain’s third largest international airport, it is also very easy to get there.